Synopsis: A world-weary political journalist picks up the story of a woman’s search for her son, who was taken away from her decades ago after she became pregnant and was forced to live in a convent. There can’t be many more emotive subjects than the enforced separation of parent and child, and it’s therefore hardly surprising that the cinema has pretty much explored every possible variation on the theme. So a movie like Philomena has to be particularly well-written to stand out from the crowd. Perhaps surprisingly, it was co-written by comedian Steve Coogan (with Jeff Pope), which is maybe why the soapier aspects of the story (which is nevertheless true) are leavened by touches of gentle comedy that provide telling insight into the two lead characters. More of a measured character study than a drama, Philomena still manages to pack a substantial emotional punch without resorting to melodrama or sentiment. As well as writing, Coogan stars as Martin Sixsmith, a BBC news reporter turned Blairitie spin doctor who finds himself out of work after issuing an e-mail warning Government ministers not to attempt burying bad news on the occasion of the death of Princess Margaret. Mildly depressed, and struggling to resume his journalistic career, Sixsmith is approached at a party by Sally Mitchell (Michelle Fairley). Sally has recently discovered that her mother had an illegitimate son who was forcibly taken from her by nuns from an Irish convent who took her in when she was abandoned by her family, and asks Sixsmith if he would be interested in writing a human interest story about her. Sixsmith is initially reluctant, but with no other writing opportunities in the offing he eventually comes to the conclusion that perhaps a good human interest story might provide him with a route back into serious journalism, so he tracks Sally down and arranges a meeting with her mother, Philomena (Judi Dench). Philomena is a working class Irish woman, now living in London. She’s a simple woman with an unshakable religious faith, which is quite remarkable given the way in which the church has treated her, and she has little in common with Sixsmith. Nevertheless, with each seeing the other as a means to an end, they travel to the convent in Ireland in which Philomena was forced to labour for four years in return for their taking her in when pregnant. In a series of flashbacks we learn that her son was given for adoption against her wishes and without her knowledge. Philomena has repeatedly tried to find her son, but the nuns claim that all the records relating to him have been lost in a fire. During this meeting, the nuns give Philomena a contract signed by her back in the 1950s in which she agrees to make no claims on her son at a future date. As Sixsmith points out, it’s strange that all the information that can help Philomena has been burned, but the one piece of paper that can prevent her from finding out about her son was untouched. Apparently defeated, Philomena and Sixsmith retire to the local pub, where the landlord reveals that the nuns regularly sold children to wealthy Americans (Jane Russell was a client), which sets Sixsmith off on a different path of investigation that will result in the odd couple embarking on an odyssey together to America. 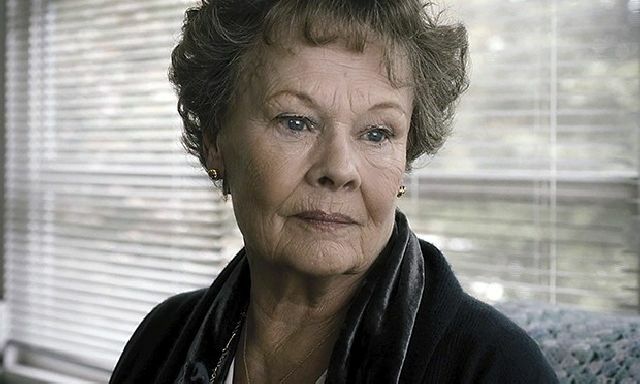 While the movie Philomena breaks no new ground and takes few chances, it nevertheless delivers an intelligently scripted tale which resists the temptation to make too much of the contrasts between Dench’s naÃ¯ve but down to earth mother and Coogan’s somewhat snobbish journalist, a man who has spent much of his life advising the people who run the country. That’s not to say their differences are ignored, but that they are expressed with a subtle touch that ensures the main focus remains on their quest to locate her long lost son. Dench is as perfect as you would expect, projecting a quiet dignity and strength that is not immediately apparent, but which becomes more evident with each turn of the plot. Coogan is something of a revelation, effortlessly dispelling the memory of Alan Partridge and all those other comedy characters for which he is so well known while demonstrating a pleasingly understated acting technique which complements Dench’s own style instead of competing with it. Philomena is something of a throwback to the years when movies didn’t feel the need for CGI explosions or MTV-style rapid cutting to secure an audience. This means that it won’t appeal to those brought up on Multiplex movies with zero character development but plenty of explosions. It will, however, reward an intelligent and mature audience who wish to connect with realistic characters in a warm and ultimately uplifting tale.